The future of the Audi R8 is a hot mess of rumors right now, but Audi has tried to gain back a little bit of control to tell the world the R8 as we know it will only available with a V10. There will be no V6 nonsense. Nobody seems sure about what will happen after the current R8, maybe not even Audi. 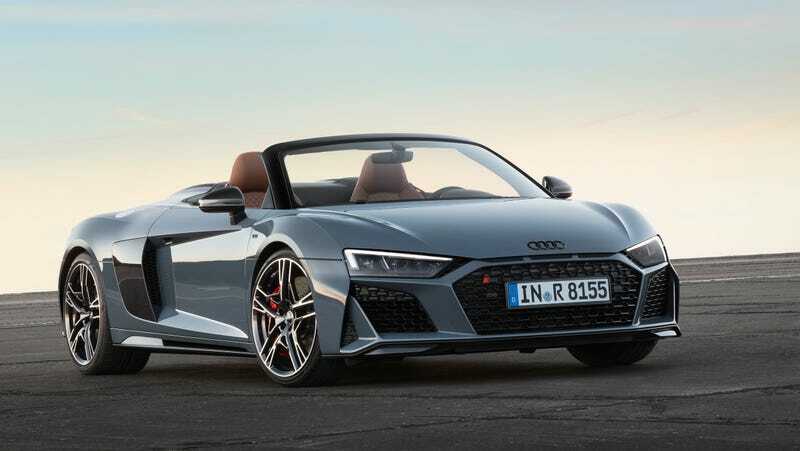 Earlier this year, there were a couple of rumors and reports that Audi didn’t see a future for the R8 supercar after the recently-refreshed current generation of the car gets old. And then, around the same time as those rumors, another rumor claimed the R8 could get an unprecedented twin-turbo V6 model from the RS4. So there you have it. No twin-turbo V6. Maybe no R8 at all after this refreshed one. Maybe that’s OK, considering Audi has now smothered attempts at an R8-based EV supercar twice. Maybe it’ll try again. Maybe not. There’s still Lamborghini. Remember How Weird The Audi R8 Looked When It Came Out?